Tru Tri Sports carries a large variety of running shoes, for all types of runners. Once you walk into Tru Tri Sports, you will experience the difference from other running stores. Our staff is educated in shoe fittings and run gait analysis, with our wide range of knowledge we can get you out the door running with your new training partner! Each three minute spa session implements innovative dry, cold therapy and triggers the body's natural healing processes. Upon exiting the cryosauna, you will continue to experience the rejuvenating effects of the process and notice extended periods of enhanced ability and greater ease in achieving physical results. OutRival Racing is endurance sports’ coaching service for athletes of all ages and abilities. We offer a variety of coaching and training services to triathletes, runners, cyclists, swimmers, mountain bikers, adventure racers and other multi-sport athletes. We offer online personal coaching, online training plans, as well as local club, group programs and events, a Professional/Amateur Elite Team, youth and junior programs, a Road Cycling Team and more! Over a dozen certified coaches provide online and local training for first-timers, age-groupers, amateur elites, and professional endurance athletes. Whether competing for a spot at the IRONMAN World Championship or simply working towards completing a half marathon or a road race, our athletes are passionate about their sport and chasing success with their efforts. TriTat's triathlon-specific body-marking system provides a nicer and professional look to participating athletes and provides a new tool to race directors to increases event revenue. Race safety is greatly enhanced. TriTats simplifies the stress and mess of traditional body-marking and provides an improved professional image to race directors big event. TriTats are removable triathlon specific tattoos and take the place of traditional "body-marking" with a marker and standing in line early in the morning. TriTat tattoos help novice age-group participants look and feel like pro triathletes! TriTats are actually put on the night before the event and are worn for the entire race. We are a Texas-based transportation company that will transport your bike and gear to your next big race destination throughout the U.S. Your bike can travel fully assembled with us, race wheels and all. Our goal is to be convenient and responsive to your transportation needs. We guarantee a great customer service experience. Cycle Chauffeur will save you time, money, and hassle! Home2 Suites by Hilton Houston/Katy is conveniently located on the southwest corner of Westgreen and I-10. Feel at home in a spacious studio or one-bedroom suite. The flexible Working Wall lets you customize your space to fit your needs. Check emails with free WiFi. Cook in your full kitchen. Pack the dog bowl and leash, your pet is welcome. Join us each morning for free breakfast. Soak up the sunshine on the outdoor patio, refresh in the sparkling outdoor saline swimming pool, or run some laundry while you exercise in our combined laundry/fitness facility, Spin2Cycle. Plan a business event or intimate wedding in two modern meeting rooms for up to 100 people. The Run Houston Race Series is a series of races created to showcase unique venues throughout the Houston metro area. Each race features a family-friendly atmosphere and offers something for all ages and skill levels including 5k, 10k and kids 1k runs. Whether you’re a beginner or experienced runner, an elite competitor or an age-grouper looking to cross the finish line, you’ll find exactly what you’re looking for at the Run Houston Race Series. Doing a half marathon is all the rage these days, but we believe it's more than that. Half marathons are not only monumental goals but they are sustainable distances one can train for over an entire season and race multiple times with less injury, fatigue and burnout than a full marathon. All half marathons in the Bayou City Half Marathon Series are accompanied by both a 5k and Kids K event to engage and attract families and runners of all ages and levels. 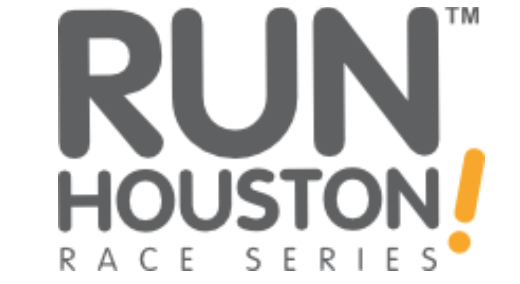 Whether you choose to run one or all of the events in the series, we know you'll enjoy being part of a fun, well organized, memorable quality event helping to grow health and wellness in and around the Houston Area. The Gold Standard for Endurance Sports Event Production in Houston and around Texas. Onurmark Productions is Houston’s largest event production company. Founded in 2007, we have set the standard in quality and safety in endurance sports in and around the Bayou City. Our goal is to supply Houstonians and visiting out-of-town athletes with a unique experience of the highest caliber. We aim to turn every one time registration into a customer for life. Register for one of our events today and experience the Onurmark Productions difference! Negative Split Productions was founded with one goal, bringing communities together for a healthier life through organized fitness activities. We produce some of the largest events in Houston and offer an experience that can’t be matched. With the partnerships we’ve developed we can provide full service, start-to-finish event production. If you’re looking to put on a fitness event or want to join a team of event professionals, contact us today to see how we can help make your event something to remember.